The month of April is National Poetry Month, an international celebration of poetry! Throughout the month we're sharing ways to add poetry to your everyday life. 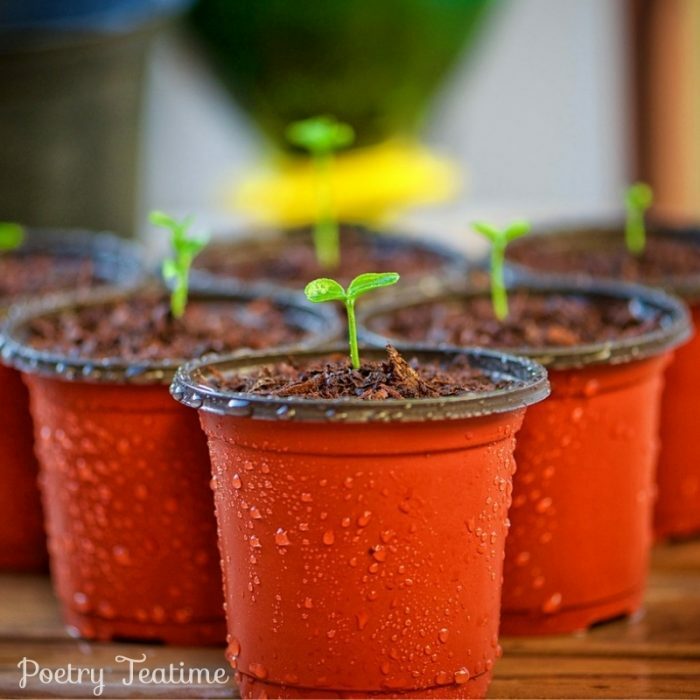 Today, get ready to plant a poem! Planting something means putting seeds in a special place with nourishment and care so that they'll grow. Today, we're going to do that with poetry. How do you plant a poem? All you need is seeds and a spot. First, you need to find the "seeds" of your poem. That could mean a whole poem that's one of your favorites, or it could just be the part of a poem that means the most to you: your favorite words, lines, or stanzas. Have you chosen a poem? Time for the next step. You can use any material: paper, cardboard, sidewalk chalk, sharpies, paint. You can use any surface (with permission): flower pots, tissue boxes, window sills, carseats. Once you've planted the poem, it's time to watch it grow. Re-read the poem whenever you see it. Write it on a flowerpot and give it to a friend for some real-life planting. See how many places you can scatter the seeds of the poem. Just remember, April showers bring May flowers...but they can also bring poetry! The poems you read this month (and any month) will make your life richer in the months to come. 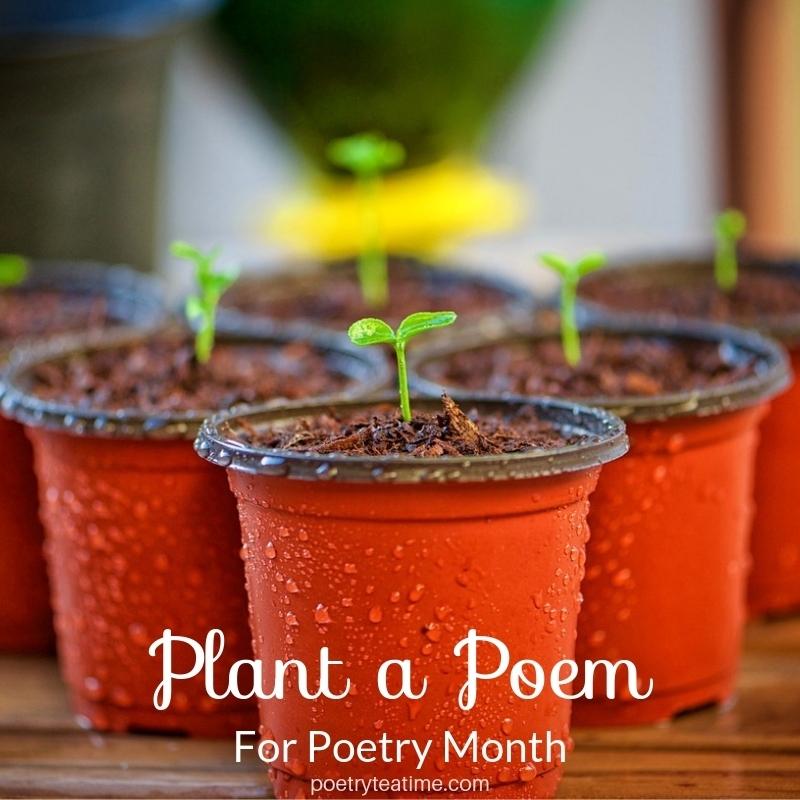 So go ahead and plant a poem today!